Falcon Blog is on Vacation!! Yes, I know this is an Eagle. I'm on vacation this week, so unless something huge breaks, there won't be any posts. But when I get back on August 4, we'll be getting ready for the run up to another season. 6'10" Josh Gomez of Iona will be bringing his talents to the Black Swamp starting the season after next, as he has announced his transfer to BGSU. 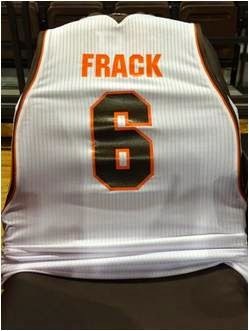 He was a FR on the Iona team that made the NCAA Tourney last year. As such, when he steps on the floor in 2013, he could be the Falcon with the most NCAA Tournament experience in at least two generations. (Technically, he didn't appear in the NCAA tournament game, but, sad to say, he would still hold the distinction, unless, of course, the Falcons break the hex and win the MAC next year). He is from New York City and played at Rice High School, which is considered a very strong program. When he does hit the floor, he will be a sophomore. 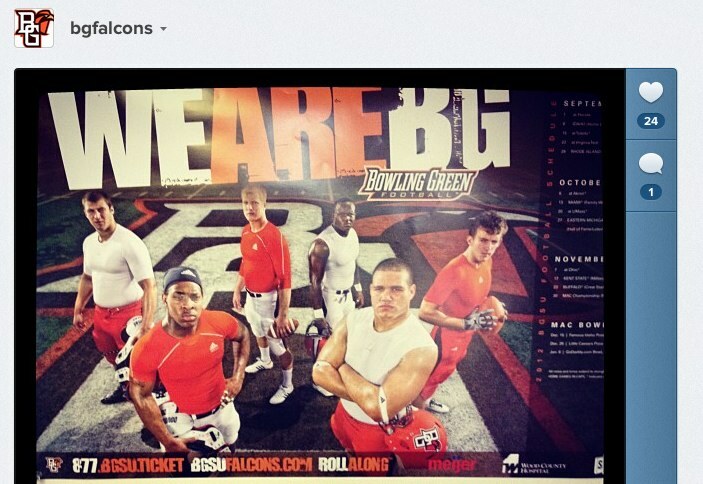 Here's the main part of the release from bgsufalcons.com. Gomez, a 6-foot-10, 235-pound post player from Bronx, N.Y., was the lone freshman on last year’s Iona team, which advanced to the NCAA Tournament. Prior to his time at Iona, Gomez attended prestigious Rice High School in New York City’s Catholic High School Athletic Association. A program that is perennially among the conference’s best teams and a nationally ranked program, Gomez helped lead Rice to a sixth straight Archdiocesan AA varsity boys basketball championship as a senior with a 14-point performance against St. Raymond’s. In a regionally televised game in the SNY Invitational, Gomez had a double-double with 14 points and 10 rebounds in a victory over eventual New York State Federation Class AA champion Mount Vernon High School. When he was recruited to Iona, he was listed at 6'9"/190, which means he had gotten somewhat bigger in the meantime. He was the #131 PF in the country and was a 2-star recruit (an 80)--all figures from ESPN. For perspective, this is the same ranking they gave Desmond Rorie. For Iona, he played in 16 games, played 3 minutes a game and had 10 points and 9 rebounds. He was a FR. 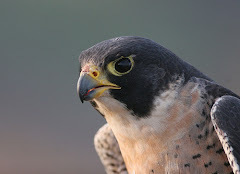 Anyway, it will be interesting to see how he develops as a Falcon. We are clearly investing heavily in the frontcourt, between the players coming in this year and then Gomez. Welcome to the Falcons, Josh. Can anyone explain the meaning of "7 minutes, 34 seconds" on the shirt at the beginning of the commercial? Ask and ye shall receive! Take a look at the comments for an explanation of what that means. I like the spot, I think it captures a distinctive feel and it is consistent with the brand established over the past few years. I like very much the "Close the deal" theme for the team. That's a good way to describe how we have been the last couple years. It is MAC Media day today up at Ford Field, and there is a little flurry of news which has emerged from the opening session. Later, our coaches and a couple players will talk, and I'll take a listen to those later and see if there are any high quality information nuggets that are revealed. Usually, it is a lot of Spring Training optimism, which you can hear anytime you want. First, the MAC Championship will remain at Ford Field through the 2015 season at a minimum. I know not everyone loves the venue, but I think it is as good as you are going to get. I always preferred a home field just for the collegiate atmosphere, but a neutral field looks more grown up and it is indoors and is relative centrally located. It is a great facility and does provide a high-class feel, though often it is pretty empty, which gives it less of a high class field. Anyway, it is as good as we are going to do, and I'm for it, on balance. The Media Poll results were also released. For the first time in a number of years, the Falcons are getting a little bit of love. The Falcons are picked to finish 2nd in the MAC East, behind OU, which was the unanimous pick to win the division. Miami is also expected to be much improved. Note, also, that BG is clearly benefiting from staying in the East. We might have been picked 4th in the West. Speaking of which, they are calling for another Rocket/NIU/WMU battle to win the West, with UT the overall favorite. A few other notes. There are 3 really bad teams in the MAC this year: Akron, UMass and CMU. EMU is getting no love for last year's run, which was partly schedule-fueled. The person who voted for CMU to win the West should not be allowed to vote anymore. In correspondence with other bloggers, I have been saying that this is the most optimistic that our fans have been in a number of years, and I really look forward to seeing Falcon football having a winning season, and if we can pick off OU in an upset, ending up at Ford Field. I do like it! The twitter app is nice, it is simpler and more elegant than the previous version. High 5 all around to those who made it happen! 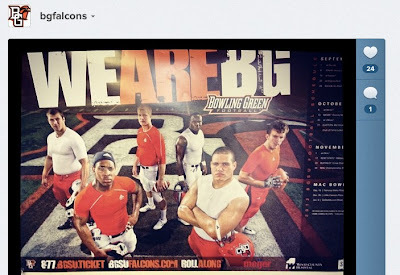 A poster on AZZ.com took the updated roster on BGSUfalcons.com and compared it to the previous roster and noted that four players of note were no longer listed. Could be a mistake, or could be that they're no longer with the program. The University does not normally release info on departures but media day is coming up Tuesday so maybe some more info will be available then. Zach Steinmetz TE from St. John's who redshirted. Michael Allen JUCO WR who came in from LA to help BG with its depth issues at WR. He made 1 catch in the Spring game. Dernard Turner. DB. When signed, Coach Clawson said he was the most recruited player we signed that year. "Just a football player." Again, we'll wait to see if there is any official word on whether they are actually done with the program. Update: The Sentinel today confirmed all four departures. What do you think? I like it. I think the "We are BG" theme has worked well for us and we have been using this idea of the players in their practice clothes, which I like too. Nice job, and hopefully starts to get the Nation's heart pumping for football season. We don't do much with watch lists in these parts. You know, they just name a bunch of people onto the lists so that the schools put them onto their websites and then it generates traffic and interest in the awards and then...well I don't know what then. The whole thing is a mystery to me. They are watch lists....I can confirm...they are lists...but I'm not sure anyone is really watching. Anyway, BG has four guys right now on watch lists. And not that they aren't good players, and it is an honor. And, yeah, I know Freddie Barnes was a finalist for the Biletnikoff Award. When he set the all-time catches record, and, you know, lost to a BCS dude. Rotary Lombardi: Chris Jones and Dwayne Woods. (This award is for the top lineman or defensive lineman). Bronco Nagurski: Dwayne Woods (this one is just for the top LB. Sorry Chris). Ray Guy: Brian Schmeidebusch, who is the Falcon with the best shot at a NFL career. So you might ask, why did I post this if I think it is stupid. Answer: same reason everyone else did, which is that it is summer and there's nothing else going on. The Falcons have their 8th reported verbal for football. Avondale (MI) O-lineman Clark Clancy has committed. Scott Burnstein, who apparently watches HS football in SE MI says that he is an "underrated line prospect." Avondale is in Auburn Hills, in case you didn't know that. According to this, he is 6'4", 265, which would put him on a redshirt weight-gaining program. The same site says he is one of the top o-lineman in Michigan. Welcome to the Falcons, Clark. The Falcons have their 7th verbal for football. The young man is Teo Redding, who goes to Warren Collegiate HS, which is in metro Detroit. He is a WR, 6'2" 170 and looks to have the potential to be a playmaker in the MAC. He had some interest from larger schools, but he doesn't have a huge body, which might have scared some people off. Michigan Collegiate's Teo Redding provided the most electric plays of the day, elevating over defensive backs and coming down with several highlight-reel grabs. Rivals has him as a 3-star and he is unrated on the other sites at this time, but that usually changes after a little while. He also had an offer from CMU. He is the second WR verbal out of 7 guys in next year's class. Welcome to the Falcons, Teo. The MAC awards two trophies that represent excellence across all sports. The Reese trophy is for men's sports and the Jacoby trophy is for women's. There isn't much good here for the Falcon nation. Honestly, with the exception of the women' basketball program, we are really struggling across the face of our athletic program. That is not meant as a slap against any of our players who are putting their all into what they do, it is just a sober reflection of the results. Overall, it is as poorly as I can remember our teams performing over sustained periods of time. Kent won the men's trophy. BG finished last. UT (ugh) won the women's trophy, BG finished 11th. I know most people will say that they only care about the revenue sports. I am probably in the same boat. Having said that, this is pretty sad as a performance, and I think is a negative to the performance of our athletic administration, starting at the top. So, a little while ago I posted some answers I provided to a Virginia Tech Blog about the Falcon's upcoming season. They returned the favor, and answered some questions about their team, which are contained below. Anyway, without further ado, let's see how they feel about the Hokies heading into the 2012 year. 1. You might have the best QB in college football that no one has heard of. Logan Thomas has a huge body and great numbers. Two questions. Is he the best QB in the ACC? What did the Spring show you about him? @vtechfanblog: Although I’m a bit biased, I do think Logan Thomas has the most potential of anybody in the ACC this year. Obviously, this is a deep league for quarterbacks with guys like E.J. Manuel (FSU), Tajh Boyd (Clemson), Sean Renfree (Duke), Bryn Renner (UNC), and Mike Glennon (NC State) all being guys who will have the opportunity to play on Sundays. But, Logan is a tank and is built very similarly to that of Cam Newton, although I think Cam was a little more gifted athletically than Logan is. As for this spring, it wasn’t a great showcase for the Hokies offense. Tech only had two open scrimmages and it took the offense a few weeks to warm up. Then the spring game was stormed out so it was tough to really get a read on the offense. @HokieGuru I think Logan Thomas was not as well known last year, but I don’t think that’s the case this year. Many NFL draft boards have Thomas as a top 5-10 pick. Plus, he got a lot of exposure this summer with George Whitfield, who has trained Cam Newton, Ben Roethlisberger, and Andrew Luck. Yes, I agree with @vtechfanblog - we’re bias, but we think he is the best. When you have a big guy (6’6”, 262 lb) that can survey the field and pass like Logan (with a 4.6 40 yard dash!!! ), well, let’s just say we’re pretty happy with that. @vtechfanblog is right about the spring question - we’re going to know a lot more in the fall. 2. The Hokies don’t seem to bring much back at RB. Did anyone emerge in the spring to take command? @vtechfanblog: I think the Hokies have a good mix of youth and talent in the backfield but this group is going to be a far cry away from the previous thoroughbreds Tech has possessed back there in recent years. Redshirt freshman Michael Holmes is being penciled in as the starter and I think that’s a fair assessment. He’s not quite explosive as our previous backs but he has a good blend of speed, power, and vision. The depth chart behind Holmes though is still wide open. True freshman J.C. Coleman showed some flashes this spring but he’s still adjusting to the speed of the game. Plus, going up against Tech’s first string defense is no easy task for even the best running backs out there. There are a few other guys in the mix as well including converted fullback Martin Scales, true freshman Trey Edmunds, true freshman Chris Mangus, and redshirt junior Tony Gregory, who is returning from his 2nd ACL surgery. 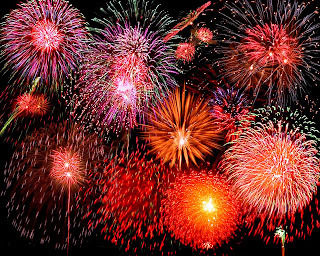 @HokieGuru Well @vtechfanblog done a terrific job above - and I don’t have a lot to add - unless a big star emerges before our very eyes, I have a feeling that this year we’re going to have a running back by committee sort of situation (like a few years ago when we had Mike Imoh, Cedric Humes, etc.) with Holmes, Coleman, et. al. This is a good thing because we are a run-first team - and with the amount of carries our running backs get, someone could get injured (it happens all the time). Therefore, we need to get 2-3 involved. Each of these guys bring talents. Holmes is the power back; Coleman is the speedy back. I can’t wait to see how it plays out. 3. Your o-line hasn’t had a lot of playing time with 17 collective starts. How did the look the spring and do they have enough to protect Thomas and open holes for your neophyte runners? @vtechfanblog: If you read any preseason magazine (and I pretty much have them all) they’ll mention our offensive line being a weakness. I disagree with that to an extent. Our starting offensive line is physically impressive and should be a solid group once they establish some chemistry. Starting left tackle Nick Becton has been a contributor since his sophomore season and will do fine in his first year as a starter. He honestly has a higher ceiling than Andrew Lanier, who graduated last season. At left guard, David Wang has been impressive and is our most consistent lineman. We return Andrew Miller at center, who I believe had 14 total starts last year. If he stays healthy he’ll be an All-ACC performer this fall. The right side of the line is where things get a little iffy. Our penciled in starter at right guard is Georgia transfer Brent Benedict. Benedict was a top 100 recruit back in 2009 but he completely blew out his knee at UGA and transferred to Virginia Tech last year. If his knee holds up, he could be our most talented lineman. But, I still don’t think he’s back to 100-percent yet. At right tackle, we have Vinston Painter who’s been slow to develop. However, he’s a man-beast at 6’6”, 304 lbs. If he can put it all together this year, he’ll be a 1st round pick in next year’s NFL draft. @HokieGuru I can’t add a lot to what @vtechfanblog has said above (he’s done a very good job talking about the individual players), although I do disagree with him a bit. Here’s the deal - it’s going to take a while for this unit to be cohesive because they have not played together. We basically will have four new starters, but some do have experience. But that seems to be what I’ve seen with our offensive line for several years now - even if they have played together, the cohesion hasn’t necessarily been there for the first couple of games - it always seems like they are ready when the ACC play starts, though, so hopefully that’s the case this year. If you ask some Hokies, they’ll tell you that if we had an elite offensive line, this program might take the next step and compete at a higher level. 4. The defense looks pretty good, starting up front. Did you see anything in the spring that made you doubt this? @vtechfanblog: No. If anything this spring showed some flashes of just how good this unit can be. The even scarier part about that was starting MIKE linebacker Bruce Taylor, starting BACKER Tariq Edwards, and potentially starting defensive tackle Antoine Hopkins all didn’t participate this spring as they recovered from injuries. As for the defensive line, this could be one of our best units since that 1999 foursome that led us to the National Championship game. We don’t have a Corey Moore this year but James Gayle has increased his weight up to 269 (according to his Instagram account) and could play his way into being an early draft pick next year. Our defensive tackles will be a position of strength now that Derrick Hopkins has a year of starting under his belt and Luther Maddy has surpassed his true freshman season. With the oldest Hopkins brother returning, Tech will have three starting caliber tackles this year. I, personally, love this group and I think you’ll be hearing a lot from them this fall. @HokieGuru I’m with @vtechfanblog on this - I can see a similar defense in 2012 that we had in 2007-2008 (it is that good). If anything, this spring told me that I think we could find ourselves in the top 10 in most defensive categories. We don’t have the depth we had last year in the secondary, so if there is an injury or two, we’re a little “green” back there. But I think you’ll see a return to the solid defenses we’ve had in the past - our run defense will be stout. 5. Any new guys emerge-expecting any contributions from players we aren’t thinking about? @vtechfanblog: I’ve mentioned J.C. Coleman at tailback. I think he’s one that’s going to play the most out of anybody from our 2012 recruiting class. Another true freshman to watch will be Joel Caleb, who was ranked in the Rivals100 this past year. Caleb will need some time to transition from high school quarterback to division one wide receiver but he has a ton of raw talent. He’ll be special in time. On defense, I think you’ll see true freshmen cornerbacks Donaldven Manning and Davion Tookes play a lot. Tech doesn’t have a lot of depth in the secondary so these guys will be counted on to come in this fall and play right away. Manning actually enrolled in January and went through spring practice. For a kid who was listed at 155 pounds coming in, he certainly plays with an attitude. I think he’ll be the next great Virginia Tech cornerback. @HokieGuru I’m looking forward to those opportunities when we can get J.C. Coleman in space - I think he can be our Percy Harvin (albeit, he doesn’t have that size) in terms of getting him all over the field. J.C. Coleman has terrific speed - and will be fun to watch this year. Joel Caleb will get a chance to play - if anything, he’ll need to get reps for next year - and he’s going to be a good one. Welcome to Ryan Hunter, who is tracking right now as an OG. He is playing high school ball in Buffalo, but he is actually from North Bay, Ontario, which is apparently WAY north of Toronto. Anyway, he is 6'3" and 319 pounds or was when he moved down to Buffalo, which is pretty good size to start with. (HT, azz.com). So, I guess Ryan decided to celebrate Canada Day with a commit to BG. Insert obligatory joke about punting on 3rd down, and then we're good to go! This appears to be a good get for BG. It will be interesting to see how he shakes out in all the ratings, but you have to like the size and the performance at the camp. Also, he might end up being pursued by others, but remember: you want players other people want. In yesterday's Blade, Dave Hackenberg does a nice piece on the damage APR issues did to the BG program (and, by implication, the damage done by our previous coach) and then how our current team staged a comeback and currently has our highest APR for football ever. A good read and nice job to everyone involved.